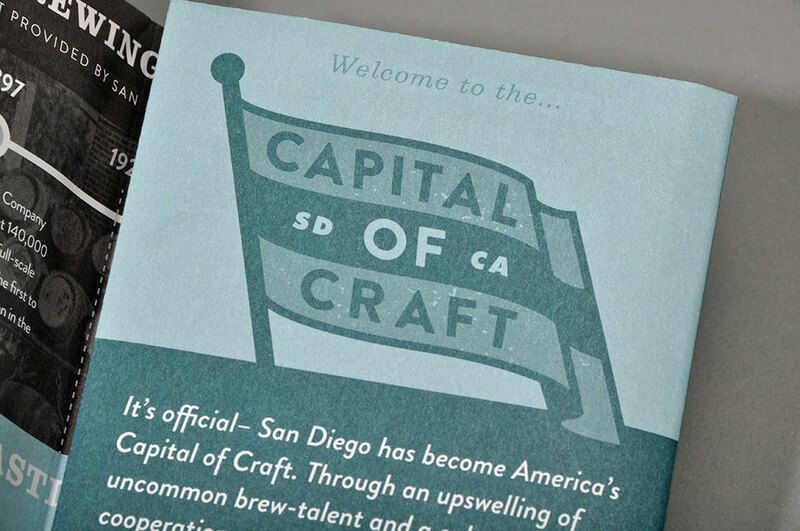 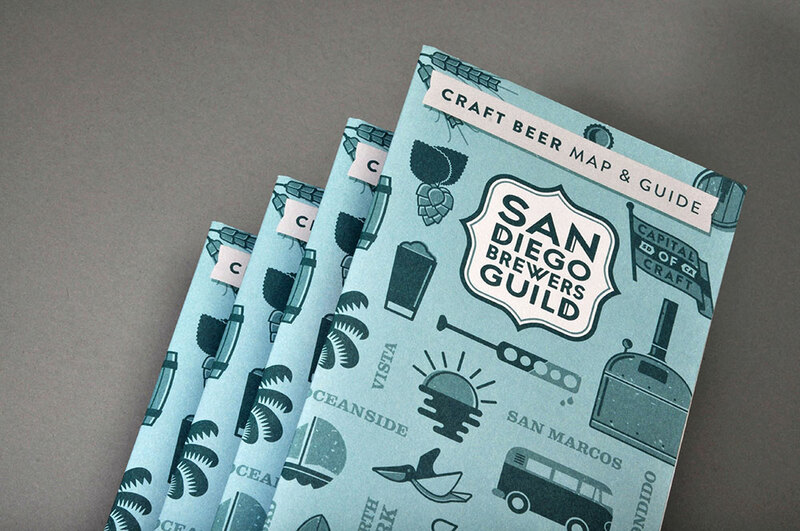 As the craft scene continues to gain popularity in America’s Finest City, the San Diego Brewers Guild has made it a point to promote these local breweries and the award winning beers they produce. 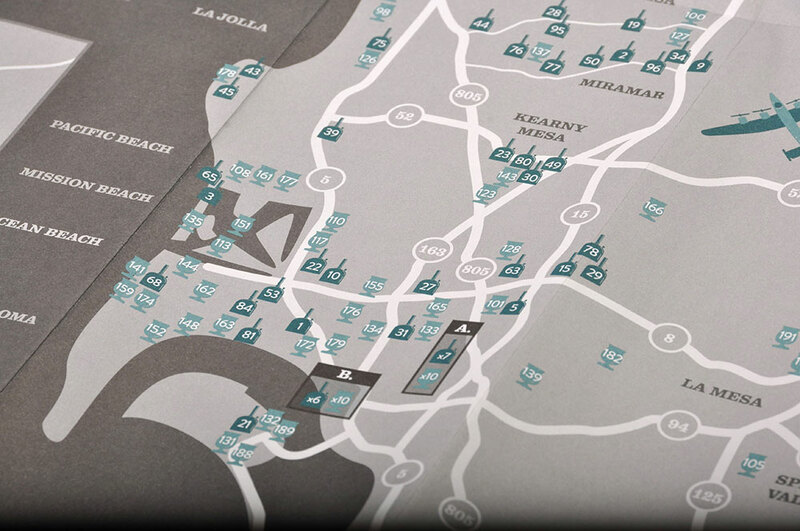 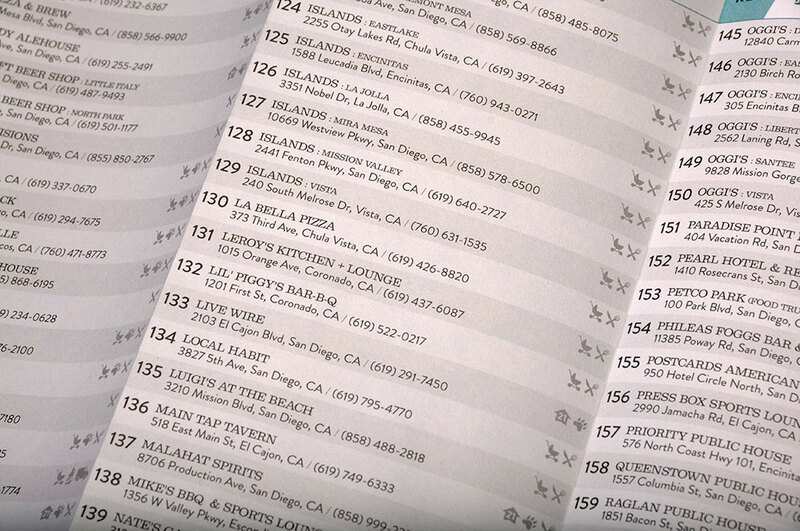 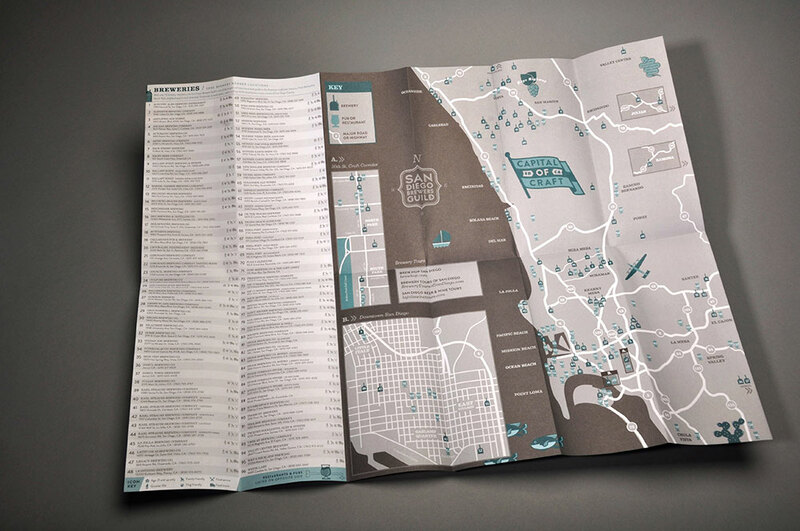 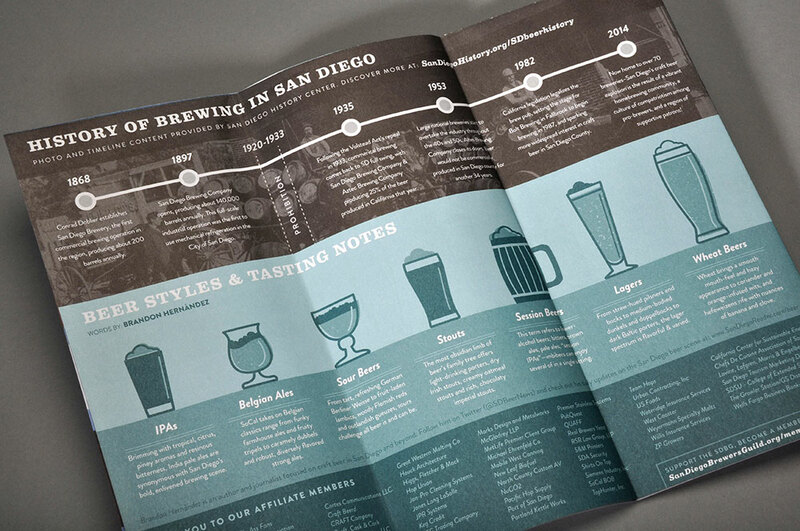 The Craft Beer Map & Guide is a valuable resource for both locals and tourists alike. 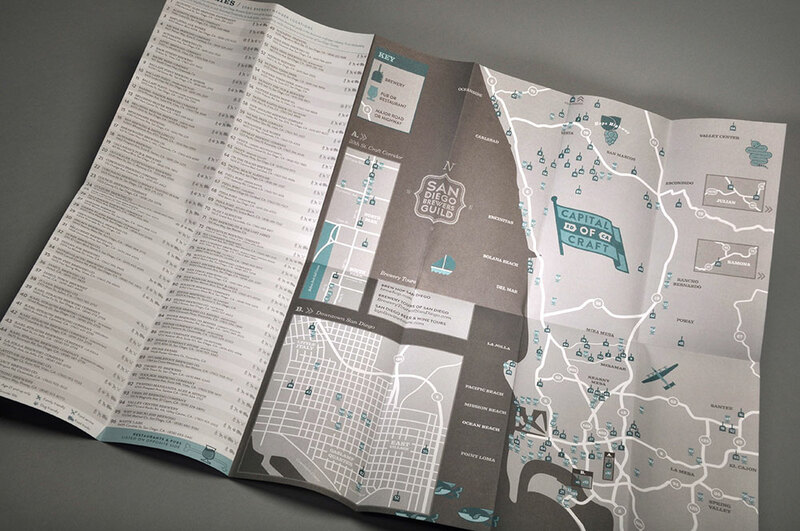 Mill-order vellum finish stock selected for “toothy feel” Panel placement design coordinated with map-fold sequence. 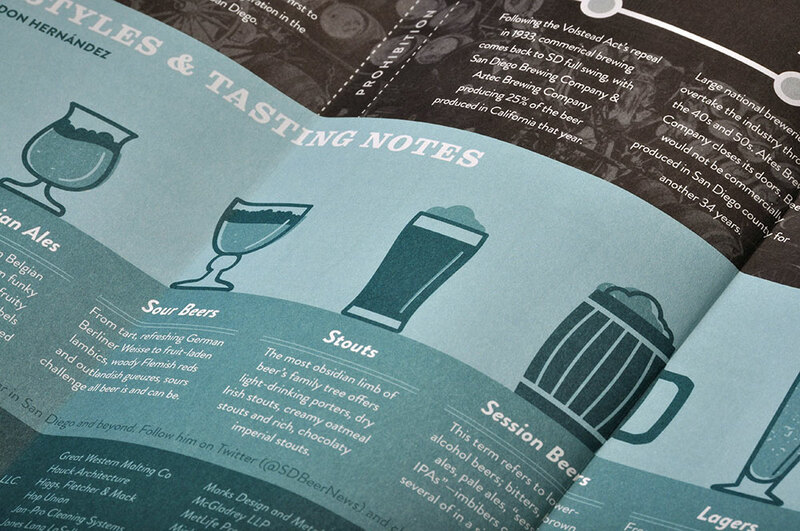 Screen values of graphic elements modified for reproduction on vellum stock.